The prototype is in the next stage of development, undergoing UX/UI iteration. The prototype is in the next stage of development, undergoing UX/UI testing and iteration, in preparation for in-depth field tests. Check back soon for updates and access to this next stage in the prototype. Technology will be their tool, curiosity will fuel their discovery of curriculum, and sharing will be what drives their success. We at Dev4X are thinking radically different to address this challenge. 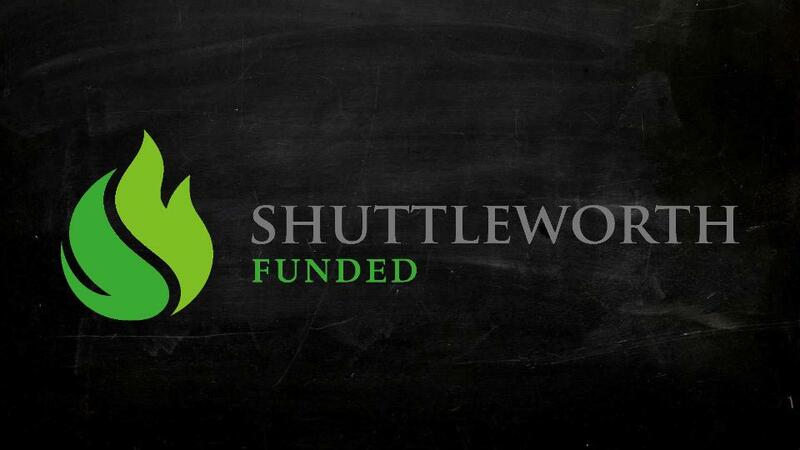 By providing children who do not have access to traditional schools or teachers with a set of tools that will provide them the opportunity to not only learn but to leapfrog the obsolete traditional education. The first is a toolset designed to enhance their ability to take their learning into their own hands and self-learn. Kids are like sponges they soak up new learning every day, especially about things they are interested in and the tools we are developing enhance their ability and drive to do so. We have various mechanism we are testing and providing these children, the first is the ability for them to explore all there is to learn in their own way, in their own time and without ‘training wheels’. We spoke about this at TEDx earlier this year. 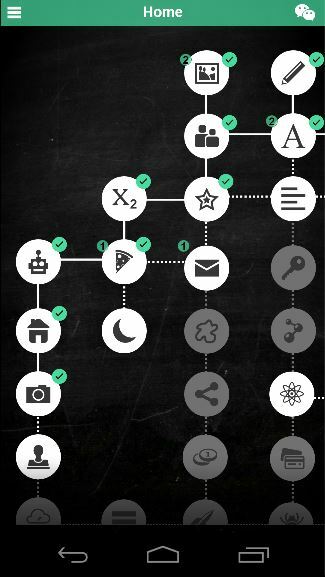 Another mechanism we are testing is a quest-based learning mode, using game mechanics and social mechanics to encourage the learner through learning paths that we are crowdsourcing from experienced educators. Quests could be based on skills they may want to learn, or outcomes that are important to further their learning or topics that peak their curiosity. The second set of tools are designed to enhance these children’s ability to teach others and learn from their friends. We know that one of the best ways of learning is to teach and therefore this is a key toolset that not only increases their ability to learn but multiplies that by also empowering them to teach their friends and their community around them. By facilitating the matching of learners in pairs and groups, and empowering the children to seek out expertise in their friends as they would in the real world we are fostering this collaborative learning approach. At any stage each learner is also a teacher. After our prototype field tests in East Africa earlier this year, we are continuing to Phase 2 of the project with further testing in Tanzania. We are currently testing mostly analog (Manual, offline, human lead) versions of our digital solutions and as our progress on digital development continues we gradually start testing the digital versions of those. We are aiming for mass impact, validating that our platform works in the most extreme and challenging conditions, like refugee camps and gender-stratified societies, but also as a supplemental tool with our own kids. Our goal is within two years to have a validated market ready platform of tools and content that can be delivered at nearly 0 marginal cost to any smartphone and tablet. Students will be able to use ruggedized tablet devices, loaded with engaging educational content to teach them just about anything. 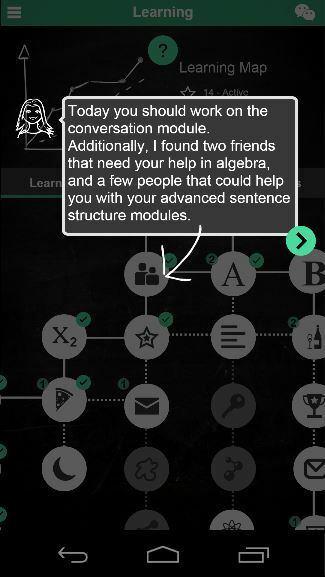 With a built-in tutor they can interact and explore any area of knowledge or be guided with adaptive storytelling. By connecting devices together in a peer-to-peer mesh network, children will be able to interact, work and help each other, just as if they were in a regular classroom. We want to foster the creativity within each child, and develop a deep love of learning by allowing them to explore all they are interested in and infusing that with all they need to learn. We are approaching this through three mechanisms, an adaptive storytelling engine, a free roam explorative learning mode and a social collaboration mode where children learn from one another. A key part of the technology is the highly adaptable recommendation engine that provides a personalized learning journey to each child even in an offline, informal learning environment. Built on an open learning map pioneered through crowdsourcing the expertise of pedagogy specialists, the platform presents the best learning approach and content to each child based on what it knows about the child and the context they live in. This approach will allow each child to receive guidance and instructions from high-quality educators through software that is able to operate in the most challenging environments. A one-size-fits-all, factory education just would not help these children much. We not only provide the most underserved children with an education, we provide them with a revolutionary education that fosters their creativity, their passion and creates a deep love of learning. The platform is being built to utilize existing content as well as crowdsourced content that could be locally developed via the devices themselves, by the children or by local educators. The open community approach will allow us to quickly expand and address the need for localized, culturally relevant content. Content is tagged and organized within our open learning map where we are using the 'Tin Can' API to pull relevant usage and learning data to determine the child's progress. We have a long term vision, focusing on the current needs of children in early learning and developing the platform in sync with this group. As they grow older and their requirements of the technology become more complex, the technology and computational power required to deliver that complexity will exist. Exponential technologies —technologies that progress at or quicker than Moore's law— have a way of creeping up on short term focused strategies. Having a long term approach can be used to provide a significant advantage. We aim to provide the children with highly personalized feedback, guidance and mentorship, even in the absence of teachers —which is the unfortunate environments that so many children are growing up in. To do so we are working on two key approaches. 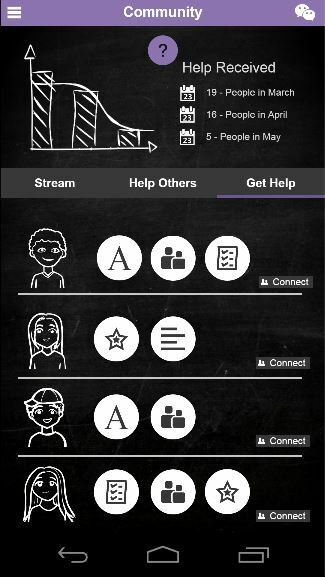 The first, by having the platform be able to matchup children to work together in learning pairs or groups that suite each others strengths and weaknesses (this is detailed more below). 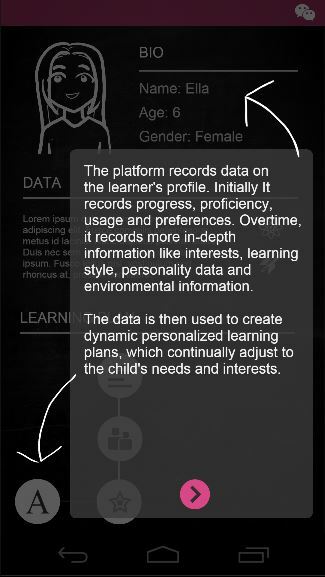 And the second approach is to provide the child with personalized guidance based off pedagogy best practices and the data the platform will gather relating to the child's approach to learning. Recognizing the current limitations of offline artificial intelligence (AI), we will initially use basic recommendation engine mechanics enhanced by machine learning algorithms which can adapt the engine to the learners' personalized circumstances and requirements. Additionally at the start it will be focused on the narrow domain of literacy and numeracy and become more complex as we add further domains. This machine learning can be validated and adjusted by the child, their parents or local educators. Thereby creating a supervised learning loop that is localized to the child's environment. Road map timeline showing how the shift of AI will gradually move from basic tier 1 technology to more advanced technology. The children will be able to have meaningful conversations with the device using natural language processing (NLP) technology. We want them to interact with the device as they would a coach or friend, by asking it questions and having it able to reply to those in a meaningful way. Over time this will become uniquely adapted to each child, building on each conversation and using what was discussed previously as the framework for future discussions. Using voice recognition and text-to-speech backed by NLP technology. 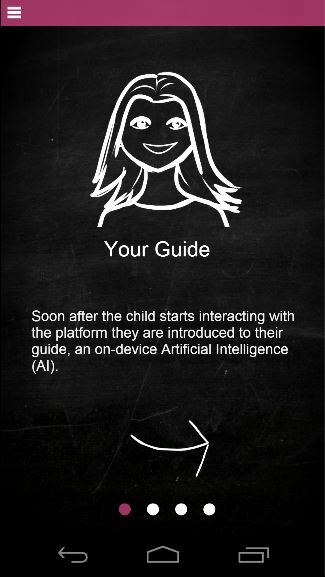 The NLP technology will also be used to teach the child pronunciation, effectively using speech recognition in reverse to help them pronounce words correctly —a technique that has been shown to be quite effective by the work of Sugata Mitra. Given the challenges of local connectivity, censorship and privacy we cannot be reliant on the internet. This means that additional methods of networking will need to be leveraged. The platform will overcome these constraints with mesh networking technology with the ability to create large-scale networks that can connect whole communities. This will be a key technology that will connect each device and allow the platform to initiate collaborative and social learning scenarios (explained further below in mentorship and social learning). In addition, for the large number of communities that find themselves in conflict zones, disaster areas, refugee camps, areas that censor and monitor communications or areas without any communication infrastructure, the mesh network will provide them significant added utility. The children and their communities will be able to use these networks to phone, message, and communicate with one another, for free, on a decentralized network. We are working with the Serval Project to make this happen. A key benefit of networking these devices is that the software can introduce the children to friends that either need their help or could help them. It will also be able to recommend team partnerships for modules like Sugata Mitra's SOEL's that get children to work together and teach each other how to solve problems. Additionally, to encourage further teamwork and social learning, most modules will have two versions; Knowledge modules and Skill modules. 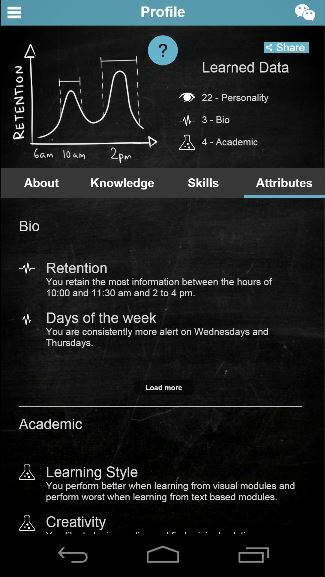 The knowledge module will contain the traditional academic content that needs to be completed. The linked skill module will require the child to practically demonstrate they mastered the knowledge module by teaching another child that skill or completing a practical assignment. This will ensure both academic and practical mastery of the concepts being taught. 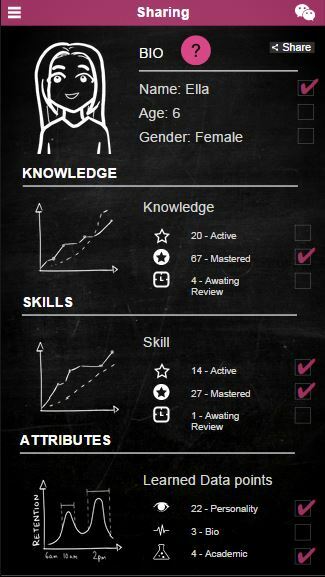 For the skills modules and group work, the software will be able to recommend the best partners and team composition. Over time we expect the children will naturally form mentorship bonds with deeper learning taking place as a result. 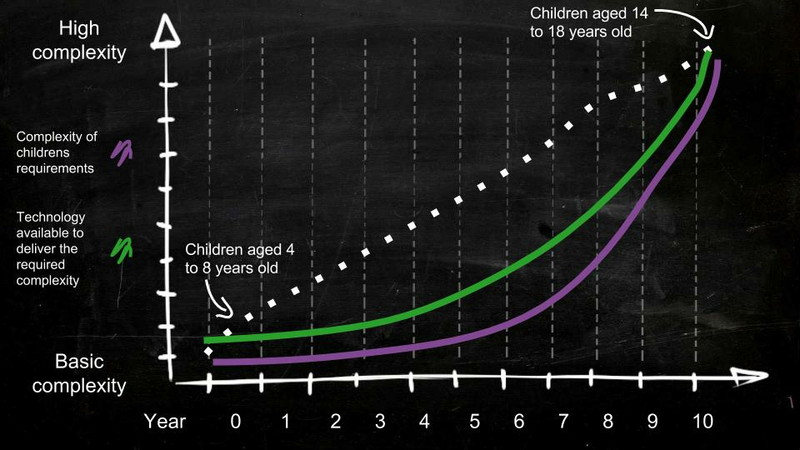 The platform provides analysis of the children's usage data, over time becoming increasingly complex and detailed. This data will reside on the device and, by default, not be shared with anyone, including Dev4x. The learner will have the ability to share work samples or usage data at their own discretion or provide us with anonymized data if they wish to help advance the software. Recognizing the speed at which devices become outdated, the child's personal data can be stored and transferred via an SD card or backups via WiFi to external storage. 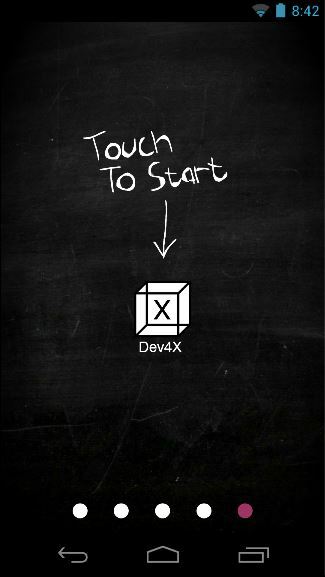 Dev4x is focusing both on privacy and on offline usage with low internet connectivity, because of this we had to rethink conventional wisdom of centralized cloud storage. By doing o we need to buck many trends and empower the children and the communities to own and control their data. Our approach here is setting us apart from others and counter-intuitively this approach allows us to scale far quicker and be deployed into areas conventional approaches just cannot reach.